Looking for AC repair service in New Jersey? 24/7 COOLING HEATING PLUMBING SERVICES GROUP provide Air Conditioning Repair in NEWARK New Jersey for affordable prices for many years. The summer is here and the temperatures go up. Keeping the right climate help people stay focused and increase productivity during these hot days. AC systems could have a few issues that may need a professional ac service assistance. Air conditioning systems need a fine tune up every so often and The AC filters need to replaces or cleaned. The AC components get dirty over time and would need to be cleaned. As you mount the unit on the wall it could suffer from uneven mounting which could affect how it works. 24/7 COOLING HEATING PLUMBING SERVICES GROUP can assist with AC Repair in NEWARK NJ at a very competitive rates. Our AC Repair staff is fully insured, licensed and bonded so you know that the AC service work will be provided at a high professional standards. 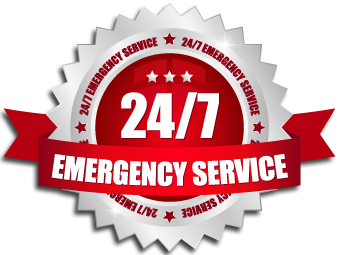 We also provide 24 hour emergency Air Conditioning Repair in New Jersey. To make sure that when you need us, we are there. We always want to keep our customers happy and we work hard to deliver that. 24/7 COOLING HEATING PLUMBING SERVICES GROUP wants to make sure you aren’t sweating away the hot days to come. Let us back you up on AC Repair and we will be keeping you cool all summer long. From indoor air quality to energy savings, our commercial projects can benefit from our unrivaled level of professional knowledge and expertise. We maintain a full office staff of dispatchers, administrative personnel, and operations managers who provide a broad range of solutions to achieve the comfort and cost-saving results you require. Whether you need to cool an entire office building, filter the air in a nursing home or just chill a wine cellar to a precise temperature, 24/7 COOLING HEATING PLUMBING GROUP can do the job. Your commercial project should have exactly the right amount of air conditioning for its size and unique demand characteristics. That’s why 24/7 COOLING HEATING PLUMBING SERVICES GROUP performs an in-depth load calculation prior to making any recommendations. Our warehouse is well-stocked with the supplies, parts, and equipment essential for handling the most demanding commercial projects. What’s more, our on-site duct and sheet metal fabrication facility allow us to provide unparalleled customized solutions. We know that you have a lot more on your plate than maintaining the AC systems in your buildings. 24/7 COOLING HEATING PLUMBING SERVICES GROUP takes that worry off your hands and make sure your equipment operates at optimal efficiency and performance, reducing monthly and long-term costs. Aladdin Plumbing & Mechanical carries a full line of name brand, high quality, heavy-duty commercial heating and cooling systems. We work directly with contractors and developers to get them the right systems at a cost-effective price. If your existing commercial air conditioning system is in need of repair or maintenance, call us at 973-816-6370 for immediate or emergency service.